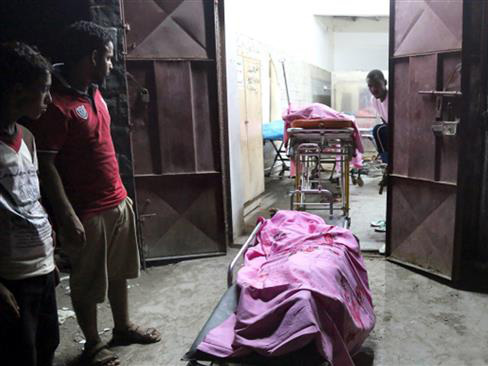 Abu Dhabi has joined Saudi Arabia in its deadly war on Yemen, which has claimed about 10,000 lives since its onset in March 2015. The three Persian Gulf islands have always been part of Iran historically, the proof of which can be found in and corroborated by countless historical, legal, and geographical documents in Iran and other parts of the world. However, the United Arab Emirates has repeatedly laid baseless claims to the islands. The Iranian diplomat further drew a parallel between Al Nahyan’s anti-Iran comments and those of Israeli Prime Minister Benjamin Netanyahu. Yazdani also reacted to similar allegations by Bahraini Foreign Minister Sheikh Khalid bin Ahmed Al Khalifah on September 27 that Iran is attempting to jeopardize the tiny Persian Gulf kingdom’s security and social peace. The Iranian diplomat stressed that Tehran has always made efforts towards easing tensions in the Middle East, and seeking friendly relations with its neighbors, including the Persian Gulf states.